Offering traditional elegance and Cape Cod charm, The Ebb Tide is situated across from the oceanfront and features five uniquely decorated dining rooms. 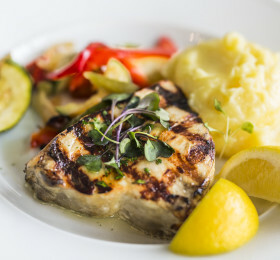 The menu boasts a variety of seafood and meat dishes featuring New England cuisine and Cape Cod specialties such as Baked Stuffed Shrimp, Lobster Fettuccine, Roasted Prime Rib and more. 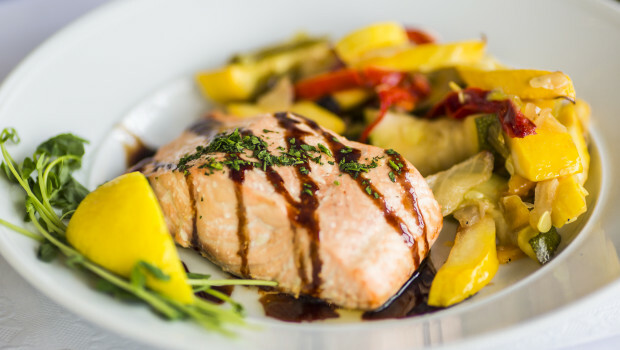 At the Ebb Tide, every menu item has been chosen for our guests by the McCormicks, and every recipe – from the Pecan Encrusted Salmon to the Swordfish Ebb Tide – originates within our family. 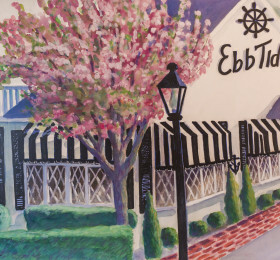 The tradition of Cape Cod Cuisine and fine New England dining continues at the Ebb Tide. Begin your evening with a delicious Appetizer – choose from our Original Lobster Fritters, Dennis Oysters on the Half Shell, Ebb Tide Clam Chowder, Lobster Bisque and more! 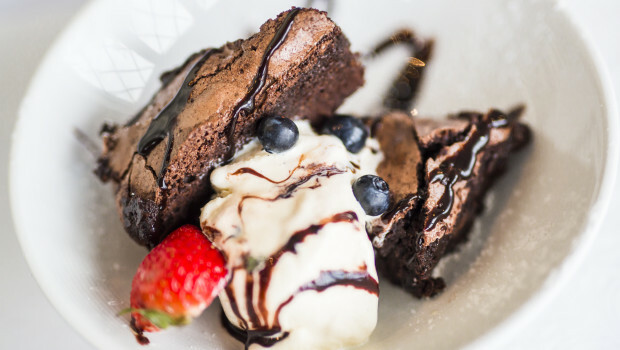 Ebb Tide specialty desserts – like our homemade Brownie à la Mode – are the perfect ending to a wonderful meal. Or try one of our wonderful after-dinner coffee drinks – like the Ebb Tide Coffee made with Brandy, Baileys and Grand Marnier, or the Peppermint Patty made with Kahlua and White Crème de Menthe. The Ebb Tide offers a full bar with a wide variety of wines and liqueurs. 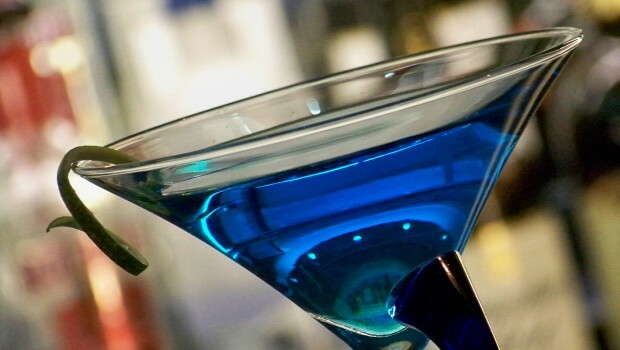 Try one of our popular Specialty Drinks, like the Ebbtini made with Vodka and Blue Curacao, or the Captain Caleb Chase Martini with Bombay Sapphire, Peach Liqueur, Blue Curacao, and Lime Juice. 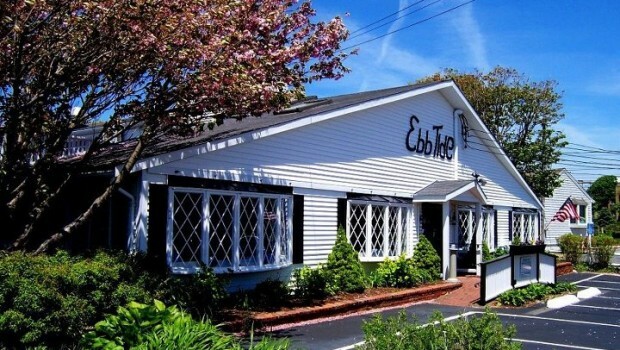 In the summer of 1959, the McCormick family transformed an antique Cape Cod sea captain’s cottage into a small restaurant and named it The Ebb Tide. It’s been growing and changing ever since. You can still see the original cottage façade in the enclosed lobby, as well as other period details. At the Ebb Tide Restaurant in Dennis Port, MA you can expect creatively prepared New England Cuisine in the warmth of a classic Cape Cod setting. A True Cape Cod Tradition! Serving fine food since 1959, The Ebb Tide Restaurant is situated across from the oceanfront and offers a variety of seafood and meat dishes featuring New England cuisine and Cape Cod specialties, including whole lobsters and prime beef. Dine in one of six intimate colonial dining rooms in this original Cape Cod sea captain’s home. 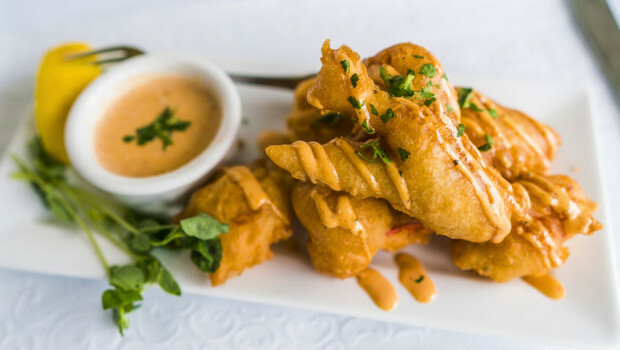 Don’t forget to try a favorite at The Ebb Tide – lobster fritters!